The event originates from the world-famous Singapore Sundown Marathon. First held in Qingdao West Coast New Area in 2017, the race has been classified into the A1 category by the Chinese Athletic Association from this year. Jointly organized by the Chinese Athletic Association, the Management Commission of Qingdao West Coast New Area and the Qingdao Municipal Sport Administration, the race saw runners set off from 9pm and involved a 42.195 km full marathon, a 21.0975 km half-marathon and a 5 km mini run to add to the summer fun of the city, with the 28th Qingdao International Beer Festival also taking place at the same time. The racing routes this year were amended, with organizers scrapping the idea of them going back on themselves. 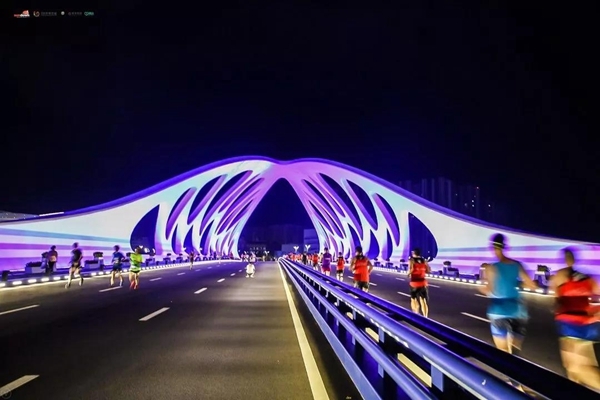 Stretching along the sea, the new one-way course offered runners beautiful night views of the area's landmarks and well-known scenic spots, including the Qingdao World Expo City, the Marine Park, the Xingguang Island and the Golden Beach Beer City. In addition to the track design, various other aspects were improved, such as new facilities and arrangements for the runners. 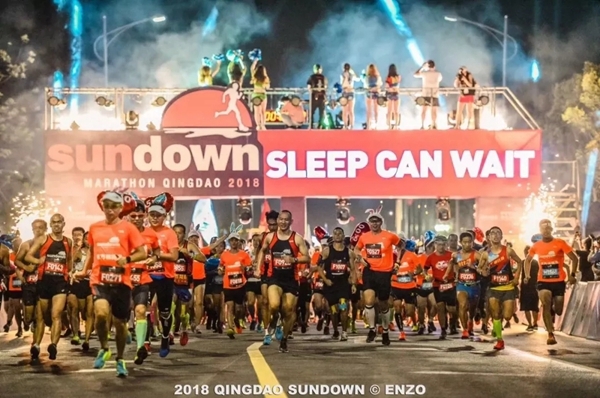 These included 15 supply sites, 11 health centers, 26 Blue Sky Rescue teams, more than 3100 traffic police officers, police officers and security guards, and more than 2000 volunteers and part-time workers serving runners and cheering them on. Moreover, for the participants' convenience, shuttles were arranged before and after the race. After a fiercely competitive race, Stanley Kiprotich Bett from Kenya won the men's full marathon with a time of 2 hours 42minutes and 31 seconds. 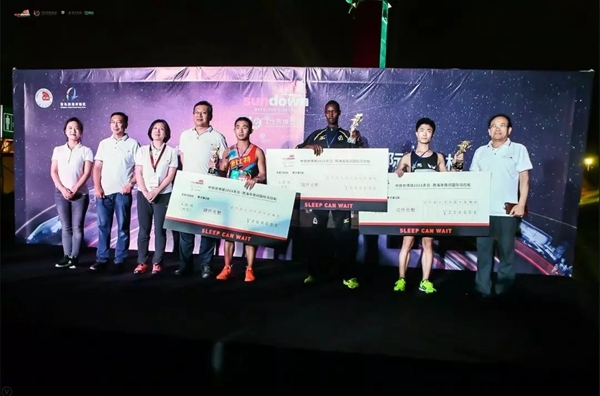 Jiang Zhendong, a local of Qingdao, won the men's half marathon with a time of 1 hour 13 minutes and 58 seconds. In the women's race, Cui Zhihong from Zibo, Shandong province claimed first place with a time of 3 hours 16 minutes and 21 seconds. Jiao Anjing from Rizhao, Shandong province, who also won last year's half marathon, came first again this year with a time of 1 hour 22 minutes and 40 seconds. Participants who finished the full marathon within six hours and a half received a commemorative medal.